Nearly all models I’ve painted were RPG or Tabletop minis intended to be played with. Zeeona is one of the rare exceptions. I immediately fell in love with the mini once I saw it and the actual product did not disappoint. She was painted for display purposes only. 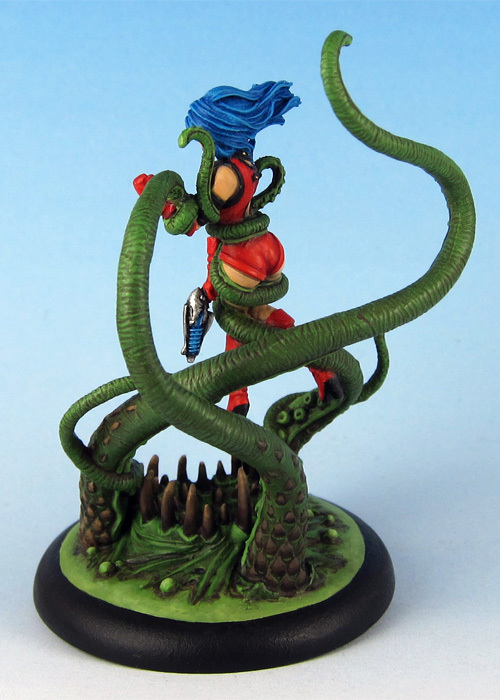 This resin mini was my first Studio McVey miniature and the quality is stunning. 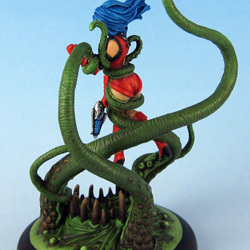 There were some annoying mold lines along the tentacles, but nothing which couldn’t be fixed easily. Other than that the mini was a joy to assemble and paint. Zeeona was sculped by Mike McVey.